Congrats to Miriam Ticktin, Humanity editorial collective member, who has been selected for a year at the Institute for Advanced Study in the School of Social Sciences. Congrats to David Singh Grewal (Yale) and Jedediah Purdy (Duke) who have curated and introduced a major new dossier in Law and Contemporary Problems on law and neoliberalism. The table of contents with links to full-text articles is here. This essay-review revisits political theorist Judith Shklar’s classic Legalism, with an eye to the uses of its arguments in the era of the International Criminal Court. 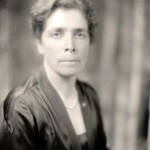 After reviewing her jurisprudence, the essay takes up her defense of the International Military Tribunal at Nuremberg, showing that it is mainly her critical arguments about international criminal law that survive today. Then the essay goes on to examine further features of her doctrines, including the implications of her engagement with the so-called Tokyo trial for Japanese war criminals for the typically postcolonial setting of international criminal law today. Why is dignity in the Charter of the United Nations? Given the current interest in "human dignity" -- which I have canvassed elsewhere -- a number of people are interested in why it became canonized in the first place. 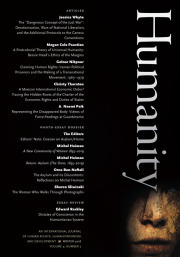 This week The Nation published my essay on the origins and trajectory of human dignity, in which I engage absorbing and accomplished books by Michael Rosen and Jeremy Waldron.